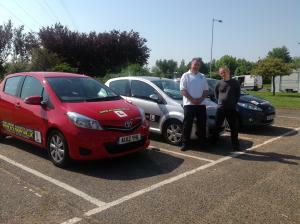 Pete Brason started Academy Driving School when he qualified as an approved driving instructor back in 1988. His previous training as a store manager (he was voted manager of the year 1987 out of 588 stores whilst training to be a driving instructor) has helped him build a successful business which continues to grow even in this time of world wide recession. During this time Pete has helped many people to qualify as driving instructors (some of which now work for him) and has achieved the recognition of ‘grade 6’ status over the last 12 years, which is the highest grade an instructor can receive when check tested! Identifying a gap in the driving market he came up with his residential intensive driving courses. They proved an instant winner having included clear pricing for the courses and including both the practical test plus accommodation where required. This has given people all over the country (now all over the world) a chance to learn on roads where the other road users seem to have more time for you. This make the task of learning to drive far less stressful and therefore far more enjoyable. Only giving work to some of the best instructors in the area has made sure we are recommended over and over again. 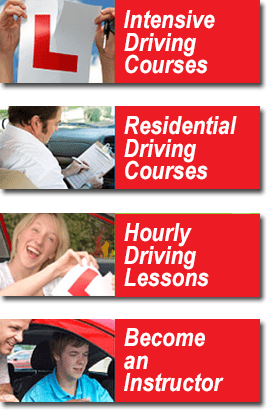 In fact we are one of the most recommended intensive driving course company’s in the UK. 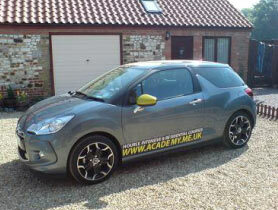 Our first goal as it always has been is to offer the best driving tuition you can possibly get at a reasonable price. We are not greedy people but feel we should be paid accordingly for our high standard of work. As our success grows so does the need for more instructors so we now have associate instructors to help us at our busiest times. These have been chosen by Pete as he knows they will offer the same high standard of instruction as the ones that work for him ‘full time’. This brings on to our next goal which is to make all these ‘full time’ and then bring other instructors on board. Our latest goal is to increase the number of driving instructors we train. We hear more and more complaints about other companies offering less than adequate training that we would like to reduce the number of people wasting their hard earned money with these companies. We do not tell our instructors which vehicle they must have as we all seem to have different opinions and needs with the result the we have a wide range of vehicles to learn in. ALL are small (though some are best described as Tardis like), easy to drive, and are fitted with dual-controls for your safety. Note: We will place you with an instructor who can accommodate you easiest around their current pupils but if you have a vehicle preference then please let us know at the time of booking.